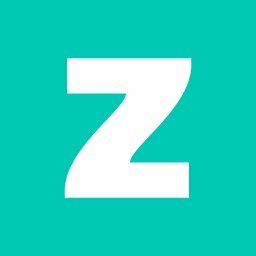 En route to its launch of a challenger bank later this year, P2P lender Zopa is staffing up its executive ranks. The company announced today that it was appointing a new chief financial officer (CFO), chief risk officer (CRO), and chief customer officer (CCO), reports David Penn at Finovate (FinTech Futures’ sister company). At the post of CFO, Steve Hulme comes to Zopa after a stint as CFO for Tandem Money. Previous to Tandem Money, Hulme was CFO for PayPal’s global credit business and CFO for Capital One’s business in the UK and Canada. He was educated at the University of Newcastle-upon-Tyne, earning a BA in Geography. Taking the helm as CRO is Phillip Dransfield. With a Masters in Commerce, Finance, and Banking from UNSW and a Bachelor’s degree in Mathematics and Statistics from the University of Wollongong, Dransfield held executive positions at TSB Bank and Lloyds Banking Group. Zopa also hired a new CCO to start the new year. Clare Gambardella previously worked in a number of capacities for Virgin Active, and ended her tenure at the health club, gym, and spa network as chief marketing officer. Also a veteran of the Boston Consulting Group, Gambardella was educated at the University of Cambridge, where she earned a degree in English Literature. Along with the $41 million (£32 million) investment the company picked up last summer, the new hires are part of the preparation for the launch of Zopa Bank. The challenger bank will offer customers personal and auto loans, flat rate credit cards, and savings and investment products. The San Francisco-based company was founded in 2005 and has raised more than $112 million in funding. It opened a new development centre in Barcelona, Spain last summer.